The new RT Series of 100 percent outdoor air rooftop heat pumps are available in 13 sizes ranging from 4 through 30 tons. The built-in high-efficiency energy recovery wheel can satisfy up to 75 percent of the demand for cooling and heating for the incoming fresh air. This can give the benefit of lower first cost of equipment, lower installation costs, and a significant increase in energy savings, says the company. 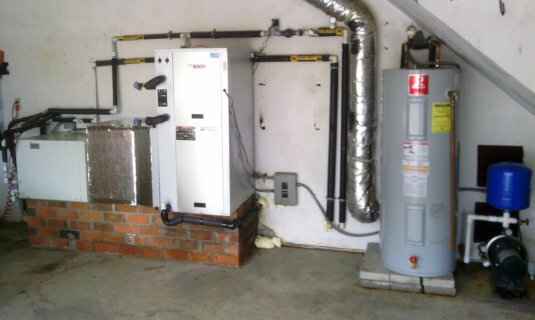 The heat pumps can condition summer outdoor air to room design conditions. In the winter, they can heat incoming air and help prevent the indoor flow of overly dry winter air that can contribute to respiratory irritation, says the company. The Computer Aided Product Selection (CAPS) software assists contractors and engineers in easily specifying and ordering the RT Series. The specific unit operating parameters can be input. The software then will display up to six different unit selections at varying efficiencies and costs. Different options for each model can then be selected, and the software will generate performance data, submittal documentation and unit drawings, which can be used for bid submissions.